Sean Harper Wide Receiver Hart Co.
Antonio Wimbush Defensive Back Camden Co.
Daquare Hunter Linebacker Effingham Co.
Daylan Williams Linebacker Jefferson Co.
Gordon Dudley Tight End Ware Co.
Howard Williams Offensive Line Telfair Co.
Jalen Wilkerson Tight End Coffee Co.
Levi Cribb Offensive Line Charlton Co.
Tyree Paulk Quarterback Coffee Co.
Mill Creek head coach Shannon Jarvis started the Mill Creek program from scratch in 2004. He came to Mill Creek after serving as an assistant to 2014 GACA Hall of Fame coach T. McFerrin from 1998-2003. He has been the head coach at Mill Creek for the past 10 seasons and after an 8-22 start his first three seasons, the Hawks have gone 45-22 since. He led Mill Creek to the state AAAAAA playoffs for the first time in 2007 and to the quarterfinals in 2010 and 2012. Coach Jarvis was named Region 7-AAAAAA coach of the year in 2007 and has had over 60 players sign college scholarships with 28 of them coming in the last three seasons. 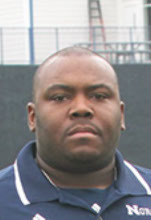 Reggie Stancil, is the Norcross High School wide receivers coach and also an assistant baseball coach. The 1998 Colquitt County grad’s wife is Alicia and he has a 13-year-old son, Jamal. He was the quarterback at Jacksonville State (Ala.) and has coached at Norcross for nine years. Stancil was recently inducted into the Colquitt County Sports Hall of Fame along with his Father James Stancil and his older brother James Stancil III. He played for the 1994 Colquitt County State Championship team. Stancil has coached back-to-back Norcross High School State Championships. Coach Crowder is in his 25th year of coaching. He has coached at North Gwinnett, Tucker, Burke County, Collins Hill, Camden County, Chattahoochee and Creekview. In 2010, he coached Chattahoochee to a state championship and was awarded AJC Coach of the Year. He just completed his fifth year at Kell as the Head Football Coach. Kell finished 2012 with another Region Championship and Sweet Sixteen State Playoff appearance and a final state ranking of #6. Over the last three seasons, Kell has a record of 31-6 with two region championships, two Sweet Sixteen State Playoff appearances and an Elite Eight State Playoff appearance. Kell had reached the playoffs in all five seasons under Coach Cook. Since coming to Kell in 2008, Coach Cook’s Longhorns are 45-14 overall and 25-4 at home in the STOCKYARD! In 2012, Coach Cook was awarded both the Region Coach of the Year as well as the Coach of the Year for the State of Georgia by the Atlanta Area Football Officials Association for his program’s display of excellence and sportsmanship. In 2012, he was also awarded Coach of the Year by the Sports Champions of Greater Atlanta. Fabrizio has been at Lee County for 5 years. Taking over a program that was 0-10 the year before he arrived, Fabrizio has led the Trojans to playoff appearances 3 of the last 4 years. This past season they were 10-2 and region 1-AAAAA Champions. They also set the school record for wins over a 2 year period. Prior to coming to Lee County Fabrizio served as Defensive Coordinator at Peach County HS. He has also previously been a Head Coach at DeLand HS (FL.). Van Spence| McEachern | South Team wide receivers & Administrative Asst. Van Spence is entering his 13th season on the McEachern Football Staff. He was originally hired by Coach Jimmy Dorsey in 2001 and retained by current coach Kyle Hockman in 2008. He has coached defensive line, linebackers, quarterbacks and in 2010, has been promoted to Offensive Coordinator. In 2010 and 2011, Coach Spence helped to oversee offense units that were in the top in school history with 451 and 452 points scored. Tom Fallaw has just completed his 12th year as head coach for the Cairo Syrupmakers. During his time there he holds an overall record of 116-34. Cairo has made the playoffs every year under his direction. During this time they have played for the state championship twice in 2007 and 2008. In 2008, the Syrupmakers went undefeated and won the state championship. The Syrupmakers have claimed seven region titles during his tenure and have been to at least the 2nd round in the playoffs nine of his 12 years. He is married to Stacy Watson Fallaw who is currently an instructional coordinator at Eastside Elementary School. Together they have three daughters. Taylor (21), Abbey (18), and Hannah (12). 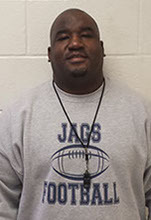 Coach Davis is the Head Football Coach of the Spalding Jaguars located in Griffin, Georgia. He has just completed his fourth season at Spalding where he led the Jaguars to a 6-4 record. 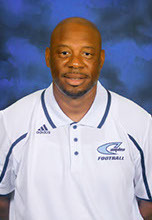 He has 19 years of coaching experience including 15 years as a head coach in the state of Georgia. Davis previously coached at Burke County, Wayne County, Columbia, Riverdale and Shiloh. He is married to Melissa Chaney Davis and has two beautiful daughters; Alexis and Jailyn. Davis purpose is to serve others by reaching, teaching and motivating. West Georgia College – 1987, BS, Ed. In 1997, he was hired as the Head Football Coach of the William M. Raines Vikings. The Vikings were 15-0 in his first season as head coach. The Vikings won the 1997 4-A State Football Championship. This was the first public school state championship in Duval County since the formation of the FHSAA. In the 1998 season the team finished with a record of 12-2, making it to the semifinals. In six seasons, Coffey’s overall record is 57-17. In March of 2003, Coffey and his family moved to Valdosta, GA and was named QB and WR coach for the Valdosta Wildcats. In his first season there, the Valdosta Wildcats went to the Class AAAAA State Championship, losing to Camden County 21-7. In 2006, Coffey came to Kingsland, GA to serve as the offensive coordinator and quarterback’s coach for the Camden County for the next seven years. Camden County won the Class AAAAA State title in 2008 and 2009. During the 2008, 2009 and 2011 seasons, the offense led the state in scoring and total yards. He was named the new head coach of the Camden County in 2013. 2013 marks the beginning of Coach Hidalgo’s 18th season with the Walton Raiders Football Program and his fourth as the Head Football coach. Promoted in February of 2009, Coach Hidalgo served as the Defensive Coordinator for the Raiders for seven of the previous thirteen seasons. In his tenure as a member of the Walton football coaching staff, the Raiders have won 6 region championships, played in 24 playoff games, appeared in 3 state semi-finals, and reached the state title game in 2011. 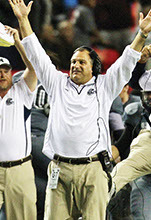 A two-time recipient of the Cobb County Touchdown Club’s Defensive Coach of the Year and winner of the 2011 Cobb County Touchdown Club’s Coach of the Year, Rocky has previously served as both the offensive line and defensive line coach for the Raiders. Coach Hidalgo is a native of Baton Rouge, Louisiana and was a two year starter for the Denham Springs Yellow Jackets where he was an All-District offensive lineman. A graduate of Rhodes College in Memphis, Tennessee, Coach Hidalgo was a three-year starter for the Lynx football team and was twice recognized as a First Team All SCAC selection on the offensive line. He also served as Team Captain in 1994. Rocky was the Lynx’s Outside Linebacker Coach for the 1995 football season before coming to Walton High School. Coach Hidalgo’s wife Kelly, also a Rhodes College alumnus, is a pediatric physical therapist and owner of Grow with Me Pediatric Therapy located in Canton, Georgia. Kelly, a native of St. Louis, Missouri, was an All SCAC member of the Lynx volleyball team. They were married in May of 1998 and have three children, Lily (10) and Deuce (7) and Cooper (2). Coach Jeff Carlberg enters his second season at Centennial’s as head coach, following a two year stint as the defensive coordinator at Alpharetta High School. While at AHS, the team had its first winning season in school history in 2010 and their first region championship in 2011. Prior to his stint at Alpharetta, Coach Carlberg was at Lassiter where he was the defensive coordinator for two years. During that span the Trojans went 21-4, including a region championship and a 12 – 1 record in 2009. Prior to that Coach Carlberg was the Head Coach for three seasons at Apollo High School in Owensboro Ky. Coach Carlberg’s first season at Apollo was highlighted by a 49 – 20 victory over the #8 ranked Marshall County Marshals in the first round of the playoffs. This marked only the fourth playoff win in the history of Apollo High School. His second year saw the Eagle get off to a 6 – 0 record, matching the best start in school history. Coach Carlberg began his coaching career at the University of Louisville as a Student\Graduate Assistant on Howard Schnellenberger’s staff from 1988 – 1992. Coach Carlberg was a staff member of the 1990 10-1-1 team that defeated Alabama 34 – 7 in the Fiesta Bowl. Following his stint at U of L, Coach Carlberg spent two years working for Larry French at Meade County High School as the Defensive Back Coach. Coach Carlberg also spent 9 seasons at Lexington Catholic as the Defensive Coordinator\Assistant Head Coach for Bob Sphire, who is currently serving as the Head Coach at North Gwinnett. Coach Carlberg is a native of Muldraugh, Kentucky where he attended and played football at Meade County High School. He was a two-time All-Conference performer at defensive back and punter. He is a graduate of the University of Louisville with a Bachelor’s degree in Athletic Training and Conditioning, and has Master’s degree in Health and Physical Education. Coach Carlberg and his wife Sherri have two children, Major who will be 13 in November, and Gunnar who is 10. Coach Tripp Allen, the Cobb County Touchdown Club’s 2003, 2007, and 2011 Offensive Coach of the Year, is the Assistant Head Coach and Offensive Coordinator for the Raiders. The 2013 season marks Coach Allen’s 15th season on the Raiders’ staff. After a year on the staff at Carrollton High right out of college, Coach Allen served in various capacities at McEachern, Sprayberry, and Lassiter. Coach Allen was a quarterback at Peachtree High School and played in the defensive backfield at West Georgia College. He is a history and World War II buff who graduated with a degree in Social Studies Education. Coach Allen also holds an M.S. Degree from Jacksonville State University and an Ed.S from Lincoln Memorial University. Coach Allen literally grew up around high school football. His dad, Ray, coached high school football for 40 years. Coach Standard enters his 13th year as Head Football Coach and has the second best record at St. Pius X behind legendary Coach George B. Maloof with a career record of 108-37. The 2012 team finished as the AAA State-Finalist and ranked #2. The 2011 team finished with an 12-1 record and a final ranking of #8 in Class AAA. The 2010 team finished with a 9-3 record and a 2nd round trip to the State Playoffs. The 2009 team finished with an 12-1 record and a seventh trip to the AAA State Playoffs and a Quarter-Final appearance losing to eventual State Champion in overtime. The season included a 28-3 victory over archrival Marist in the season opening game, The 2008 team finished the season with a 9-2 record and a sixth appearance in the AAA State Playoffs, the 2007 team finished with an 8-4 record and a fifth trip to the AAAA State Playoffs, the 2006 team finished with the best record in 38 years with a 11-3 record and a trip to the Georgia Dome for the State Semi-Finals, the Golden Lions finished with a #4 state ranking. In 2005 team finished 5-5 and for only the 2nd time in the past seven years did not advance to the State Playoffs. His 2004 squad posted a 8-3 record and a third straight appearance in the state playoffs. His 2003 squad posted a 10-3 record and a trip to the State Quarter Finals-the best record in the past 35 years. That season was highlighted by a 20-17 victory over Marist which broke a 21 year drought in this great rivalry. The 2003 Golden Lions finished with a final state ranking of 7th in class AAAA. His 2002 squad posted a 7-4 record, advancing to the State Playoffs. Coach Standard played for the legendary Coach George B. Maloof and is one of five classmates of 1980 to coach football. A 1984 graduate of The Citadel with a B.S. in Business Administration, Coach Standard teaches economics, accounting, and physical education at St. Pius. 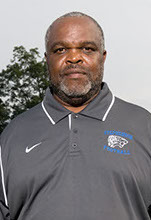 He coached at Loganville for a year (1985 Defensive/Offensive Line), Meadowcreek for five years (1986-1990 Offensive/Defensive Line) and ten years at Dacula (1991-2000 Offensive Coordinator/Offensive Backs) under Coach Kevin Maloof (SPX ’75). At Dacula, his teams were the Region Champions in 1993, 1994, 1996 and 1999 (co-champs) and in 1993, 1994, 1996 and 1999, they were State Quarter Finalists. Coach Standard was named Assistant Coach of the Year in 1993, 1994, 1996 and 1999. He is married to the former Cindy Renee Harper. Cindy is an occupational therapist for Gwinnett County Schools. They have four children; Paul III (P.G. ), 23 SPX 2009; Elizabeth, 21, SPX 2010, Mary Kate, SPX ‘2011, and Margaret May, 9. 2013: Present Head Football Coach Benjamin E. Mays High School 3-1. 2012: U.S. Army All American Game Assistant Coach. 2010-2012: 12-18 record at Duluth went 4-6 in each of his three seasons. 2010: Under Armour Assistant Coach. 2005-2009: 49-11 record at M.L. King and took all five teams to the playoffs. 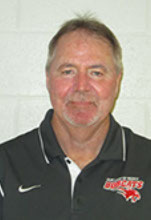 Region Coach Of The Year 2007. 2001-2005: Mary Persons Defensive Coordinator and Head Track Coach Region Coach Of The Year Track 2003-2005 and State Coach of the Year 2004. 1996-2001: Crisp County Special Teams Coordinator and Boys Track Coach. Corey and his wife Shanegia have three daughters who are nine, eight and three-years old. Kyle Hockman became the 7th Head Coach in the 53 year history of McEachern football when he was hired in 2008. He had the unenviable position of following a “legend” in Coach Jimmy Dorsey. In spite of this perspective, the Indian leader has passed this initiation with flying colors and has been able to bring McEachern football to a position of prominence that has been extraordinary for current players and has shown great honor and respect for past traditions. Coach Hockman came to McEachern after a successful stint as Head Coach at Campbell H.S. helping to have a 2 year run with a record of 15 wins and 7 losses with an impressive playoff win over Central Gwinnett in his first year as head coach at the school. Coach Ed Dudley begins his 5th season as Head Coach of the Ware County Gators. He is a coaching veteran with 29 years of experience, and 21 seasons as a head football coach in Georgia. 15 of those years have been at the helm of playoff teams. Coach Dudley’s overall record of 172-74 is one of the best among active coaches in Georgia. Coach Dudley was very fortunate to serve under legendary head coaches: Billy Henderson, Steve Brooks, Jerry Sharp, and the late Ben Scott as an assistant coach. His first head coaching stint was at Buford from 1992-1994 where he compiled a 25-9 record. Coach Dudley has also coached track, lacrosse, wrestling, basketball, and baseball in the past. Coach Dudley is a 1980 graduate of St. Pius Catholic High School, and a 1984 graduate of Rhodes College. 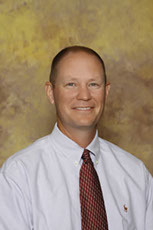 He holds a Master’s Degree in Physical Education from Jacksonville State University. Coach Dudley is currently teaching in the Social Studies Department at Ware County High School. Ed is married to the former Lynn Myrick since 1983. They are the parents of Gordon 16, Sam 13, Mary Lamar 13, and Margaret 10. Ed and Lynn live in Waycross and their children attend Ware County Public Schools. The Dudley’s are members of First Baptist Church, Waycross. They love the Gators and the people of Ware County!